Mizoram TET 2019 Result has been Declared on 11th February 2019. MTET stands for the Mizoram Teachers Eligibility Test. 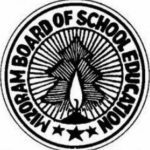 It is conducted by the Mizoram Board of School Education (MBSE), which is done for the recruitment of teachers in the state of Mizoram. MTET has two levels of the exam, i.e., for Primary & Upper Primary.MTET Exam is laid down by certain rules & regulation under Central regulatory authorities. Eligible applicants are requested to apply for the exam after reading all the guidelines which are mentioned on the official website. Applicants can apply for the MTET Entrance Exam by registering themselves filling the Online Application form, from the official website. Here in this post, we will provide all related links to apply for the exam. Mizoram TET 2019 Result has been Declared. Click Here to Check Result. MTET Result has been Declared on 11th February 2019. MTET Result has been declared on the official website. The participant’s selection process will be done based on the performance of the MTET Entrance Exam conducted by the Mizoram State Government. Marks scored in the Entrance Exam will shortlist participants. All qualified Applicants will have Seven years of the validity period for MTET certificate from the date of result announcement for all category candidates (consisting both reserved & unreserved category). Mizoram Teachers Eligibility Test Application Form will be started from 30th November 2018. The application will be through Offline Mode only. The application can be obtained from the MBSE office, Chaltlang. MTET 2019 Online Application form starts from 30th November 2018. MTET 2019 Online Application Form the last date is 4th January 2019. The application can be filled with late fees until 8th January 2019. Information Brochure along with application form can be obtained from the office of the MBSE, Chaltlang on payment of Rs. 50/~ (Rupees fifty only) from 30.11.2018 to 04.01.2019. The last date of submission of application form with a late fee of Rs. 300 is 08.01.2019. Examination fee must be submitted along with the application form. Fee once remitted shall not be refunded under any circumstances. Applicants must be of 21 yrs of age. Applicants must have the degree of BA or B.Sc or appear in the final year degree course two ­year D.Ed. BA/B Sc with a minimum of 45% marks or must have completed B.Ed or appearing in the B.Ed examination. In this questions will be based on Social science, Intentions & pedagogical Knowledge. Students must note that the MTET Admit card is an essential document and they should carry to the Exam center. Students can download the MTET admit card from the official website. MTET Admit card will be available before a week before the Exam. For any other queries about MTET 2019, you can leave your questions below in the comment box. 55% of 150 questions should be correct.